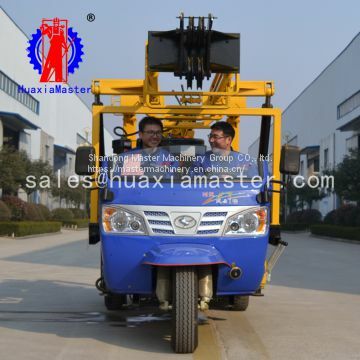 Shandong Master Machinery Group CO,. 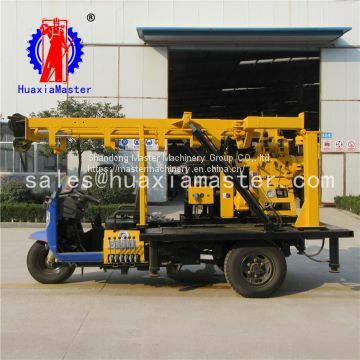 ltd.
· XYC-200A tricycle-mounted hydraulic core drilling rig is multi-function hydraulic vehicle-mounted core drilling machine . · The tricycle is Tricar 7YP-1475D1. 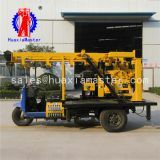 The drilling rig, engine, BW-160 pump and hydraulic drill tower are all installed on the tricycle, so it us easy for transportation. 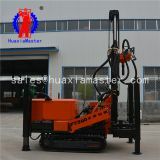 · XYC-200A tricycle-mounted hydraulic core drilling rig with BW160 pump which has high pressure and high flux, to ensure the drilling depth and hole diameter. · Equipped with national patent technology---taper clutch, made the machine easy to operate and free of maintenance. 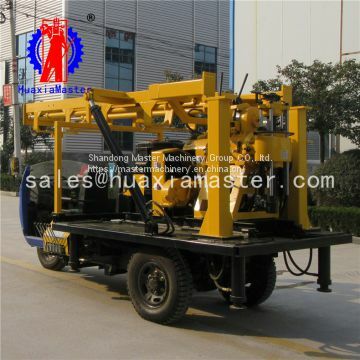 · Use large module planetary gear and add supporting frame, highly increased hoisting and braking ability of the winch. 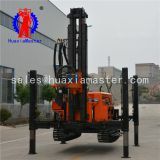 · Vertical spindle are fixed by four groups of bearings to ensure that the core rig is rigid enough for gravel layer and other complex geological conditions. 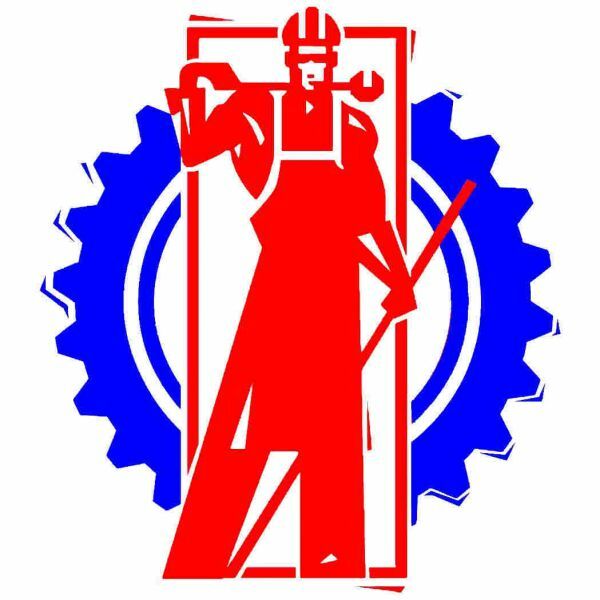 Shandong Master Machinery Group Co.,Ltd. 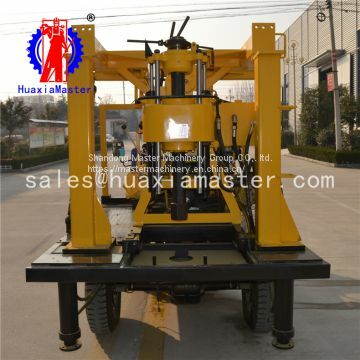 To Shandong Master Machinery Group CO,. 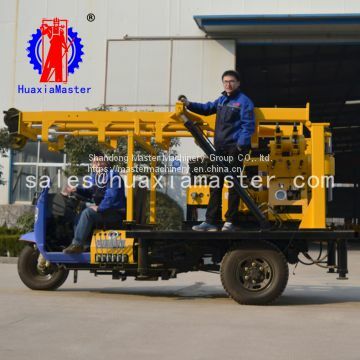 ltd.
INQUIRY ABOUT Diamond Core Drilling Rig Rock Breaker Rock Sample Machine For SaleShandong Master Machinery Group CO,. ltd.